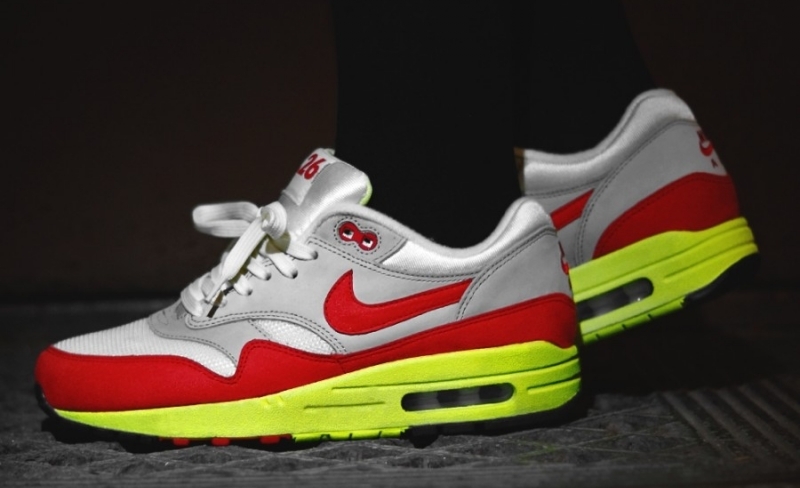 This color way of the Nike Air Max 1 was created for вЂњAir Max DayвЂќ, celebrating the original release of the AM1 decades ago. Some promo pairs came in a gigantic Air bubble but the general release in regular boxes. Utilizing the White / Red make up from many years before, the shoe switches things up by providing Volt onto the soles and tongue liner. The tongue features "3.26" to finish up.